A few months after their marriage at Stanford Memorial Church, Christi and JJ navigated into the waters of marital discord. On the horizon was a conflict over whether or not to have children. “Why not?” asked JJ, disappointed. “I just don’t want to spend my life picking up after other people,” Christi said. Having grown up in an alcoholic home, Christi felt she already had raised children—that is, her two alcoholic parents. 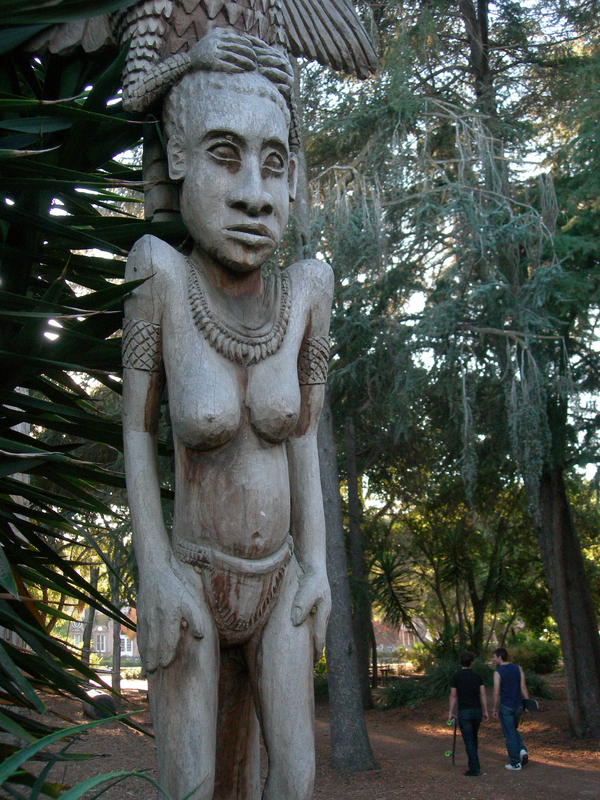 Papua New Guinea sculpture on the Stanford campus….